Next-generation sequencing techniques make it clear that all eukaryotes share significant portions of the genome specifying the core biological functions. 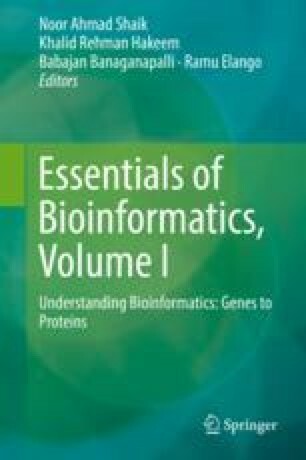 Understanding of the biological function of such distributed proteins in one organism can normally be assigned to different species, which ultimately helps in extracting relevant biological information. This can be achieved by examining the basic components individually and then studying how these are connected in a network. Networks help in visualization and understanding the interactions between myriad components of a system that are mainly represented as graphs where different nodes (proteins) are connected via edges. The core biological information portrayal is provided by gene ontology that covers several domains of molecular and cellular biology. In this chapter, we tried to elaborate the data types extracted from various techniques and made them conveniently coherent to the readers through examples. We have also explained the complex biological networks theory comprehensively, following the functional analysis speculations, using real examples from various bioinformatics tools.